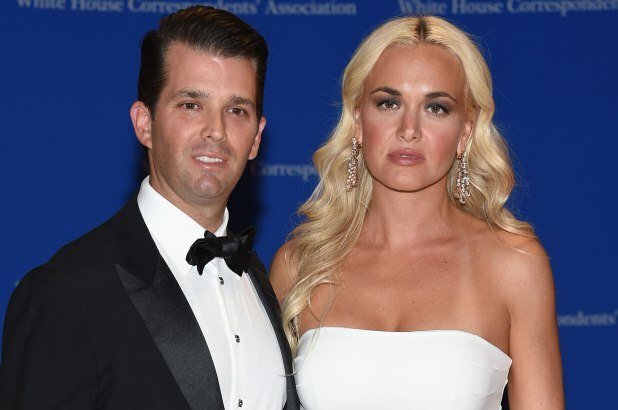 Vanessa Haydon Trump, the wife of President Trump’s oldest son, Donald Trump Jr., filed for divorce on Thursday afternoon in a Manhattan court. Ms. Trump, 40, is seeking an uncontested divorce to end her 12-year marriage with the president’s son. Mr. Trump, 40, the eldest of five children from President Trump’s three marriages, met his wife, a former model, when his father introduced them at a 2003 fashion show. They married in 2005 at Mar-a-Lago, the family’s club in Palm Beach, Fla. They have five children. The couple live in Midtown Manhattan during the week, and the family often spends weekends in the Catskills. Mr. Trump and his brother Eric, 34, took over the management of the Trump Organization after their father was elected president. While his sister Ivanka and her husband, Jared Kushner, moved to Washington and took senior jobs in the White House, Donald Trump Jr. chose to stay in New York after the election. He has stayed in close contact with his father, often defending the Trump administration on Twitter and in interviews on Fox News, and he recently campaigned in Pennsylvania for the Republican candidate in a special election. The White House special counsel, Robert S. Mueller III, is examining a June 2016 meeting Donald Trump Jr. had with Russians offering dirt on Hillary Clinton and the president’s role in providing a misleading response to The New York Times last summer for an article about the meeting. 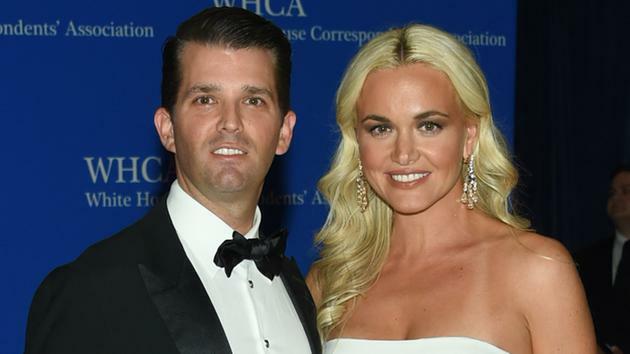 Last month, Vanessa Trump and her mother were hospitalized as a precaution after opening an envelope containing a white powdery substance that was later determined to be cornstarch, police officials said. A Massachusetts man was charged with sending the threatening letter. 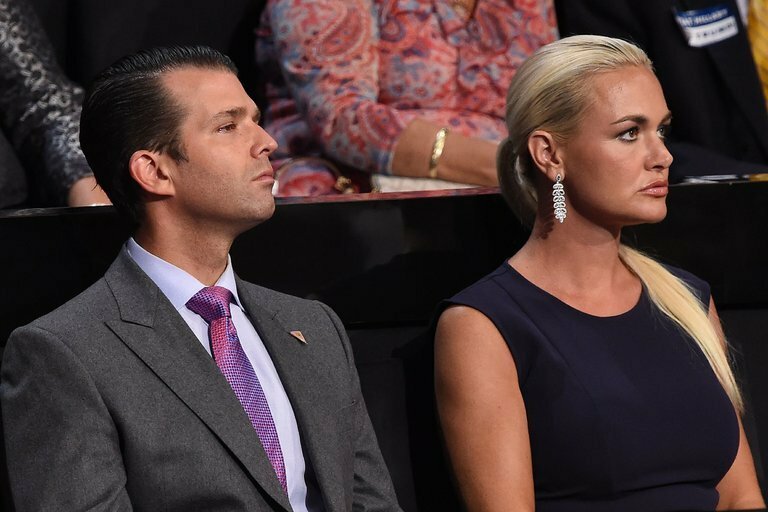 “No one should ever have to deal with this kind of sickening behavior,” Donald Trump Jr. said on Twitter about the episode. A onetime model with the Wilhelmina agency, Ms. Trump was raised on the Upper East Side of Manhattan and once dated the actor Leonardo DiCaprio. At the time of their engagement, Mr. Trump accepted a ring from the Bailey Banks & Biddle jewelry store in Short Hills, N.J., in exchange for publicity, recreating his proposal in a New Jersey mall. 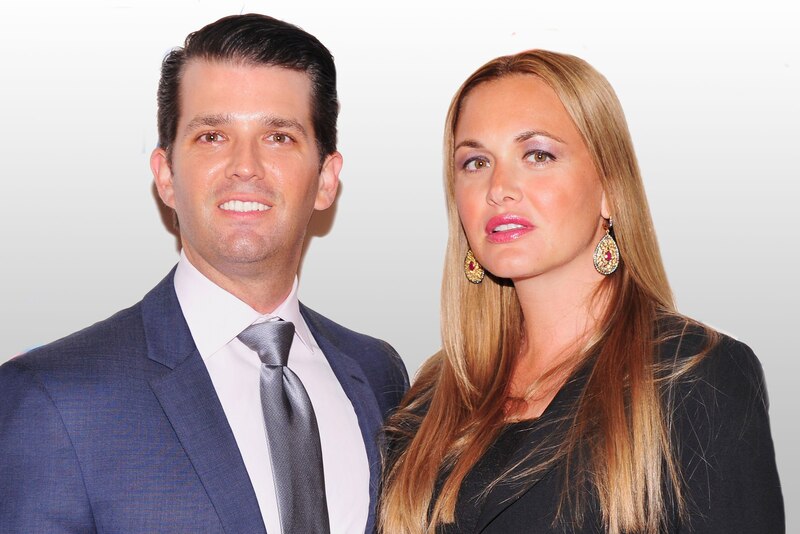 Using her Twitter account with the handle @MrsVanessaTrump, Ms. Trump frequently retweeted her husband’s posts pertaining to family life, many of which include photographs of their weekends in the Catskills. But her tweets about him appeared to stop in June 2017. The last tweet referring to her husband was a family portrait in which she wished the president a happy birthday. Mr. Trump, who is active on Instagram, has posted mostly photos of him and his children in recent months. The last photograph with his wife was a photo of the family in February, when they were in Palm Beach celebrating a son’s birthday. The New York Post first reported the divorce filing on Thursday.